Lima, the host city of one of the most important international climate conference to date, the COP20, is not limiting its engagement in the field of climate change to the co-organization of this impressive gathering of climate negotiators and experts. For the past years, the Municipality of Lima, conscious of the interactions between climate change and urban development, has been implementing actions on the ground that seek to increase the resilience of its infrastructure while simultaneously reducing greenhouse gas (GHG) emissions from activities such as transport, waste or energy consumption. Anticipated benefits from these adaptation and mitigation measures will be reduced vulnerability to climate change-related events and lower pollution levels, all of which will contribute to a more sustainable, happier and healthier community. 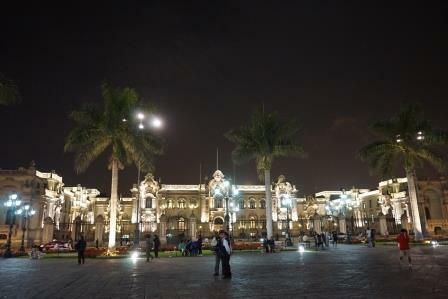 In 2010, Lima’s climate ambitions translated into the signature of the Global Cities Covenant on Climate, also known as the Mexico City Pact – a political commitment from cities around the globe to engage in local climate action. The Mexico City Pact 2012 Annual Report gives a good overview of the most inspiring measures that have been undertaken in the last couple of years by the city of Lima. In the field of transportation, the CICLOLIMA program, which was awarded the 2012 “Public Management Best Practices” title in the Public Impacts category, seeks to expand the number of users that choose bicycles as an alternative means of transportation. The project has three components: construction of 150 km of bike path and maintenance of the existing network; promotion of the use of bicycles at school and at universities through Bicicole, a high school educational campaign, and U.Bici, a bicycle sharing system for universities; and finally, the closure of thoroughfares on Sundays, thanks to the Ciclodía initiative. Pollution from public transport vehicles is also a source of concern. The Municipality is looking to address this with a scrapping program that has been gradually replacing low capacity vehicles with high capacity units. To date, the $6.1 million program has allowed the replacement of 4,000 public transportation vehicles more than twenty years old. Poor communities will be impacted the hardest by climate change related events such as droughts and floods. In order to protect them, the Municipality is rolling out the US$490 million Barrio Mío Program, an urban improvement and social development project for Lima’s working class neighborhoods. Its main goals are to improve resident quality-of-life and to build a culture of citizenship, helping to benefit approximately three million residents in the capital’s neediest neighborhoods, in coordination with local governments and the general population. Last but not least, the Lima Verde Program contributes to the promotion of urban agriculture in abandoned urban and suburban spaces to generate wholesome foodstuffs for at-home consumption and commercialization. This strategy helps to promote and develop alternatives that aid in improving family nutrition and more diverse citywide dietary paradigms. The Resilient Cities Asia-Pacific team is based in ICLEI's South Asia office in Delhi, India.